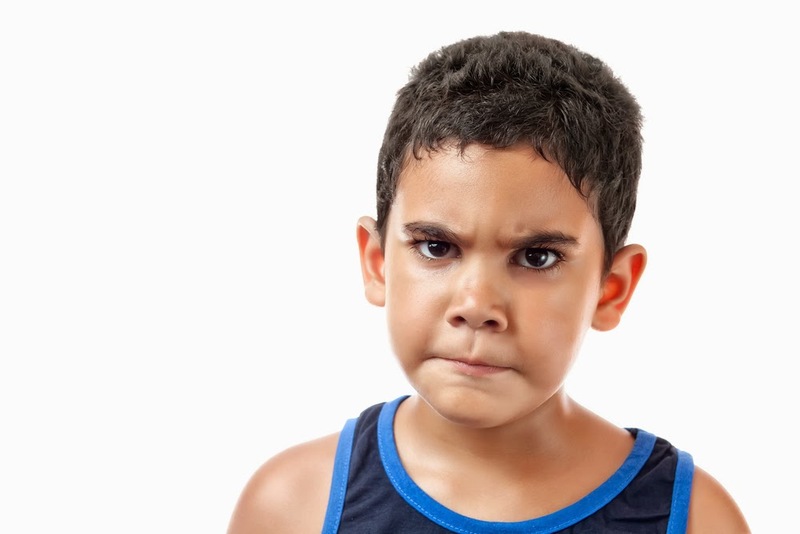 When children exhibit specific emotions or behaviors characteristic of oppositional defiant disorder (ODD) at one age, they are likely to do so at other stages of childhood as well, new research has found. The study was headed by Edward Barker, Ph.D., director of the Developmental Psychopathology Lab at the Institute of Psychiatry, King's College, London. The results are published in the Journal of the American Academy of Child and Adolescent Psychiatry. 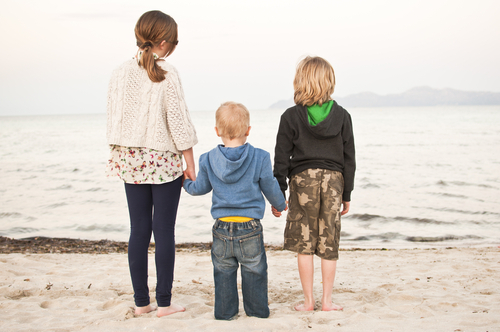 More than 6,000 children and their mothers participated in this longitudinal study. The children were evaluated for three emotions or behaviors that often characterize ODD—irritability, being headstrong, and being intentionally hurtful—at ages 8, 10, and 13. Youngsters who displayed one of the emotions or behaviors at one age were also likely to display the same emotion or behavior at another age. Moreover, the three emotions or behaviors tended to be developmentally distinct from one another over the years studied. However, being headstrong at age 10 was associated with being irritable at age 13, suggesting that being headstrong might be driving some of the later irritability. The researchers also looked to see whether being irritable, headstrong, or intentionally hurtful at age 8, 10, or 13 predicted depression or conduct disorder at age 16. They found that irritability predicted depression and that being headstrong predicted conduct disorder. Being intentionally hurtful predicted neither. The findings have clinical implications, the researchers believe. For instance, ODD appears to be a complex psychiatric condition, and "clinicians treating ODD and service planners may do well to assess the three dimensions described here to predict and tailor the most appropriate treatment for each individual." Information about the refinements that have been made to ODD in DSM-5 can be found in the Psychiatric News article "New DSM Chapter to Focus on Disorders of Self-Control." Also see "Psychiatric Disorders in Preschoolers: Continuity From Ages 3 to 6" in the American Journal of Psychiatry. Yesterday evening, the CBS television program "60 Minutes" gave extensive exposure to the issue of how recent mass shootings in the U.S. appear to be preventable tragedies—symptoms of a seriously flawed mental health system. Correspondent Steve Kroft interviewed two experts on the subject—Jeffrey Lieberman, M.D., president of APA and chair of psychiatry at Columbia University, and E. Fuller Torrey, M.D., executive director of the Stanley Medical Research Institute. Several individuals with schizophrenia as well as their relatives were also interviewed. Several major points emerged from the segment, including that schizophrenia is a brain illness. 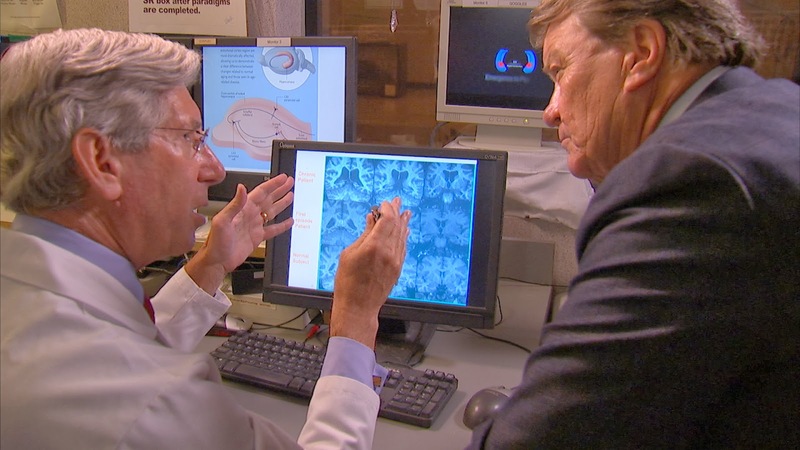 Lieberman documented this knowledge with brain images showing changes in the brains of people with schizophrenia. He also explained that the illness, which "usually emerges in late adolescence and early adulthood, affecting perception and judgment," may cause a person to hear voices, among other symptoms. In the worst cases, people with auditory hallucinations "can't distinguish the voices from their illness, and they think the voices are part of them, and if they tell them what to do, they'll follow it." Another point made was that there are effective treatments for the hallucinations that individuals with schizophrenia experience, but not all of those individuals have access to such treatments. In other cases, they won't acknowledge their illness and thus refuse treatment. Some untreated individuals with schizophrenia occasionally listen to their "voices" telling them to commit violence. However, both Lieberman and Torrey emphasized that the vast majority of individuals with schizophrenia do not commit violence. They are the ones who suffer the most from their illness. And the tragic fact is that many people with serious mental illness are not receiving treatment in the community and end up in jails and prisons. For example, the Cook County Jail in Chicago contains thousands of mentally ill inmates, and its director said that it is the largest mental health facility in the country. Click here to view the "60 Minutes" segment. 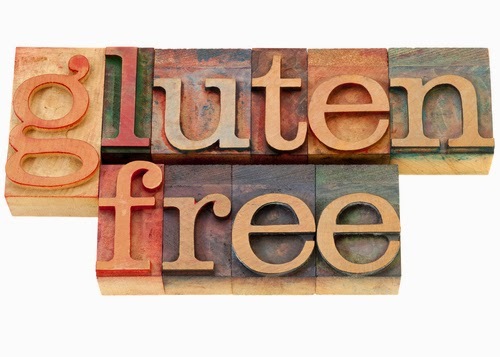 For years scientists have debated whether there is an association between celiac disease (CD)—characterized by gluten intolerance—and the onset of autism spectrum disorder (ASD). A study published this week in JAMA Psychiatry said that there is no evidence that such a link exists. Researchers from Sweden collected data from approximately 43,000 patients with CD, intestinal inflammation, or a normal intestinal lining with a positive CD serology and compared them with 213,000 age-matched controls. Patients' medical records were evaluated for a prior diagnosis of ASD. 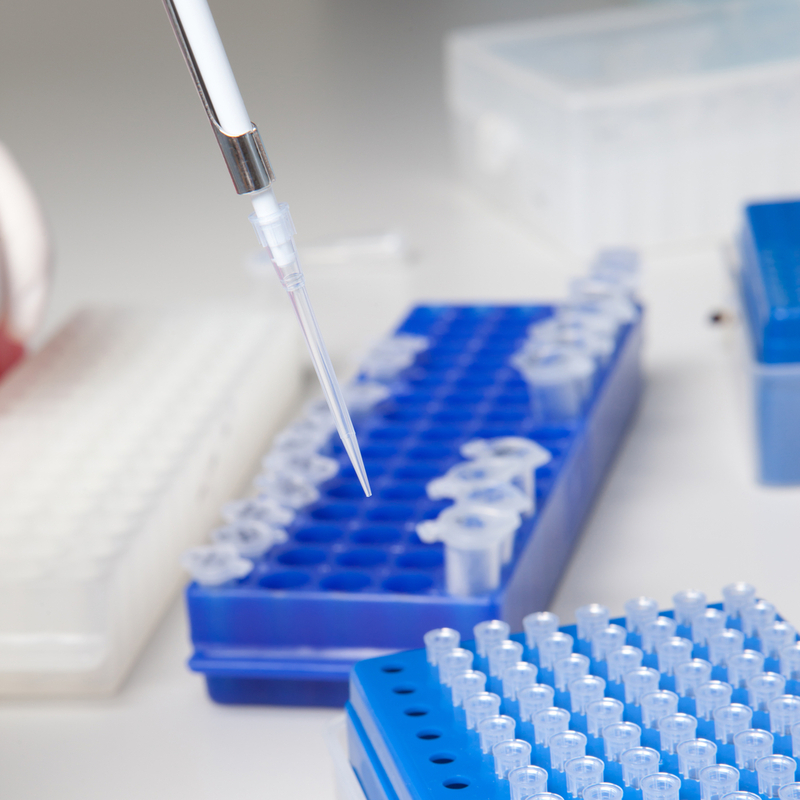 The results showed that having a prior ASD diagnosis was not associated with CD or intestinal inflammation, but was highly correlated with a normal intestinal lining, with positive serology for CD. 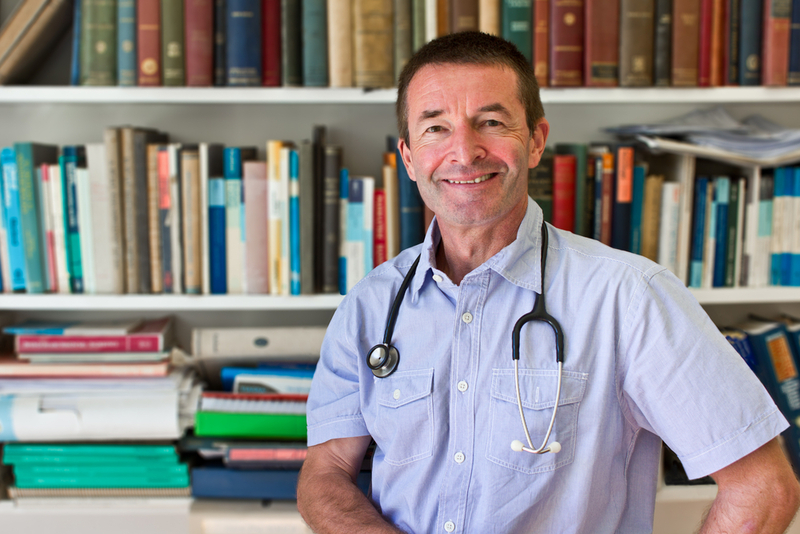 “The link between autism and normal mucosa and positive celiac serology could be due to three things,” said Jonas Ludvigsson, M.D., Ph.D., lead author and a professor of epidemiology at Karolinska Institutet. "It could be a chance finding....It could be that patients with autism are more often tested for celiac...or it could be a true biological cause, perhaps an increase in mucosal permeability.” Though he said that this study is definitive, Ludvigsson noted that ASD association with other intestinal conditions should not be ruled out. To read more about research into the causes of ASD, see the Psychiatric News article "CSF Excess in Brain May Help Predict Autism" and "Much of Autism's Groundwork May Be Laid Before Birth." A form of cognitive-behavioral therapy known as exposure-response therapy, when combined with serotonin reuptake inhibitor (SRI) medication, appears to work better for obsessive-compulsive disorder (OCD) than does antipsychotic medication. That was the finding from a study published in JAMA Psychiatry by researchers who compared exposure-response therapy with risperidone as an adjunct to SRI medication for OCD. They conducted a randomized clinical trial at two academic outpatient research clinics that specialize in OCD and anxiety disorders. One hundred patients aged 18 to 70 with OCD of at least moderate severity despite a therapeutic SRI dose for at least 12 weeks were randomized to either risperidone, exposure-response therapy, or placebo. Patients randomized to exposure-response therapy had significantly greater reduction on the Yale-Brown Obsessive Compulsive Scale, which was used to measure OCD severity. Moreover, patients receiving risperidone did not significantly differ from those receiving placebo. Adding exposure-response therapy was also superior to risperidone and placebo in improving insight, functioning, and quality of life. “Patients with OCD receiving SRIs who continue to have clinically significant symptoms should be offered exposure-response therapy before antipsychotics, given its superior efficacy and less-negative adverse effect profile,” the researchers said. To read more about research on OCD, see the Psychiatric News article, "Familial OCD: Environment, Genes Both Play Role." Antidepressant medication appears to modify emotional information by helping people focus more on positive stimuli and less on negative stimuli. That is the key finding of the study "Effect of Antidepressant Medication Use on Emotional Information Processing in Major Depression" by researchers at Oklahoma State University and three other institutions using an eye-tracking test to examine how medicated and unmedicated patients with depression processed visual information. The findings are published in AJP in Advance. The researchers used the test to examine the effects of antidepressant medication on selective attention for emotional stimuli in a sample of 47 patients with major depressive disorder (21 medicated and 26 unmedicated) and 47 matched comparison subjects without depression. Participants completed a passive-viewing eye-tracking task assessing selective attention for positive, dysphoric, threatening, and neutral stimuli in addition to providing medication information and self-report measures of depression and anxiety severity. Both depressed subjects currently taking antidepressants and nondepressed comparison subjects showed greater total gaze duration and more fixations for positive stimuli compared with unmedicated depressed subjects. Depressed subjects taking an antidepressant also had fewer fixations for dysphoric stimuli than did depressed subjects not on medication. To read more about the use of antidepressants, see The Evidence-Based Guide to Antidepressant Medications from American Psychiatric Publishing. 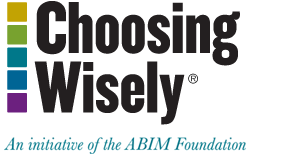 Friday marked the inauguration of APA’s public involvement in the Choosing Wisely campaign—an initiative sponsored by the American Board of Internal Medicine Foundation that encourages physicians, patients, and other health care stakeholders to engage in a dialogue concerning unnecessary medical procedures that, in some instances, could result in harm. As part of the Choosing Wisely campaign, APA has released a list of cautionary principles that should be considered when prescribing antipsychotic medications, noting that they are sometimes prescribed inappropriately. Do not prescribe antipsychotic medications to patients for any indication without appropriate initial evaluation and appropriate ongoing monitoring. Do not routinely prescribe two or more antipsychotic medications concurrently. Do not use antipsychotics as the first choice to treat behavioral and psychological symptoms of dementia. Do not routinely prescribe antipsychotic medications as a first-line intervention for insomnia in adults. Do not routinely prescribe antipsychotic medications as a first-line intervention for children and adolescents for any diagnosis other than psychotic disorders. To view the complete APA list and additional information, see http://www.psychiatry.org/choosingwisely. And for information on prescription practices for antipsychotic medications, see the Psychiatric News articles, “Caution Urged for Clinicians Who Prescribe Opioids” and "Prescribing for Mentally Ill Children Generally in Line With Best Practices." APA announced today that it has filed an amendment to its complaint against Anthem Health Plans Inc. in Connecticut and its parent company, Wellpoint Inc. Also joining in the amended action are the Connecticut Psychiatric Society and the Connecticut Council for Child and Adolescent Psychiatry. 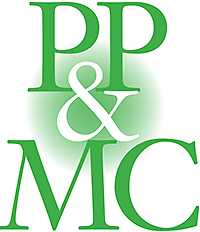 The original lawsuit was filed in April and maintains that Anthem is in violation of the federal Mental Health Parity and Addiction Equity Act (MHPAEA) and Connecticut's insurance parity law as a result of changes the company made to its rate schedules for services provided to psychiatrists after changes to CPT codes went into effect in January. The complaint asked the insurer and the Connecticut Insurance Division to fix problems inherent in its rate schedule that make it more difficult or expensive for patients to receive psychotherapy from a psychiatrist. The complaint alleges that through its rate schedule, Anthem is forcing psychotherapy patients to make two appointments, thus missing more time from work and imposing an unfair financial burden on them. It also calls for fixes to Anthem's practice of reimbursing psychiatrists less than other physicians for evaluation and management services. 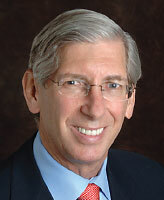 The amended complaint was filed to address changes Anthem made in its rate schedule after the original complaint was filed because, "Sadly, neither Anthem nor the Connecticut Insurance Division have made any effort to solve the problem," said APA President Jeffrey Lieberman, M.D. 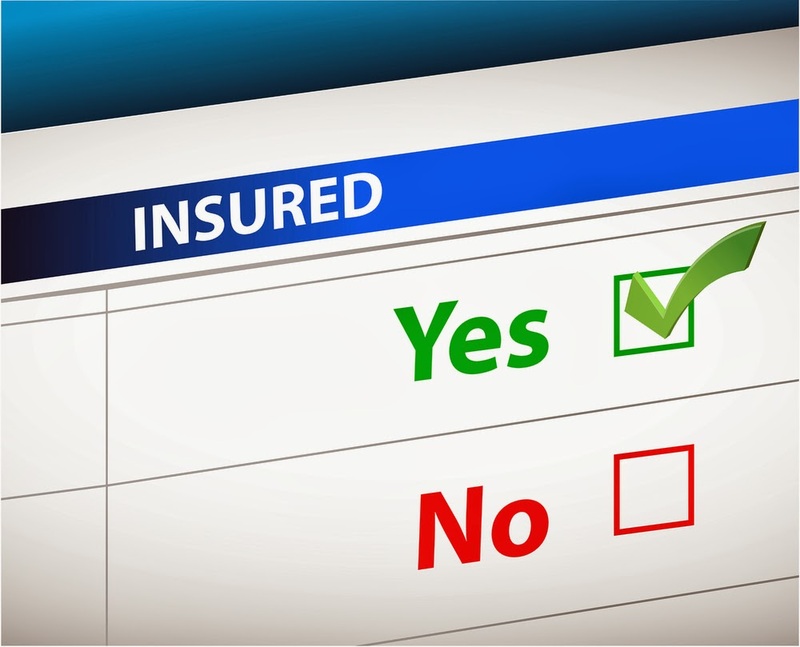 The insurer's action, he emphasized, "is an example of the kinds of barriers to care insurance providers impose on people with mental illness.... The MHPAEA is a good law that needs to be enforced so that people in need of mental health care do not slip through the cracks. We can no longer tolerate discriminatory practices that impede access to care." To read about an APA letter to Anthem calling for changes to the insurer's payment policies, see the article "APA, Connecticut Psychiatrists Protest Insurer's Practices" in Psychiatric News. One question on the nine-item Patient Health Questionnaire (PHQ-9), a depression-assessment tool commonly used in clinical practice, can help identify outpatients who have an increased risk of suicide attempt or suicide death, according to a report in the APA journal Psychiatric Services in Advance. 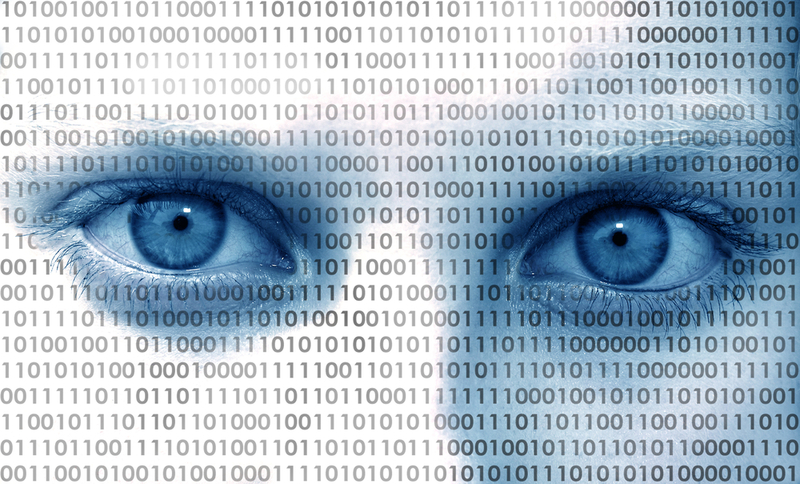 Researchers at the 650,000-member Group Health Cooperative in Washington state and Idaho, led by Gregory Simon, M.D., M.P.H., used electronic medical records of patients who were seen for a depression-related visit for a five-year period beginning in 2007. They evaluated the ability of item 9 to assess suicidal ideation. It asks: "Over the last two weeks, how often have you been bothered by thoughts that you would be better off dead, or of hurting yourself in some way?" Response options are "not at all," "several days," "more than half the days," or "nearly every day." At one year, the probability of a suicide attempt or completed suicide ranged from about .4% for those answering "not at all" to 4% (1 in 25) for those answering "nearly every day." Even after accounting for treatment history and demographic factors, "item 9 remained a strong predictor of any suicide attempt," the researchers said. Immediate risk was low, they noted, but increased over several days and persisted over several months. Treating clinicians were aware of PHQ-9 results, so the risks found "reflect the consequences of any clinical response" to questionnaire answers. They concluded that while denying suicidal thoughts "does not rule out subsequent suicide attempt,...Systematic use of the PHQ-9 (or some other standard outcome assessment) is an essential element of effective depression treatment." To read more about this study, see the report "Does Response on the PHQ-9 Depression Questionnaire Predict Subsequent Suicide Attempt or Suicide Death?" in Psychiatric Services in Advance. The AMA today released new data on physician practice arrangements showing that private-practice medicine remains strong despite an increase in hospital employment. This is the first nationally representative study of physician practice arrangements in five years. While this study shows 60 percent of physicians in physician-owned practices, there has been a trend toward more hospital employment during the last five years. In 2012, 29 percent of physicians worked either directly for a hospital (5.6 percent) or for a practice that was at least partially owned by a hospital (23.4 percent). A 2007/2008 AMA survey did not distinguish between direct hospital employment and employment in a hospital-owned practice, but found that 16.3 percent of physicians worked in one of the two settings. For more news from the AMA, see the Psychiatric News articles, "AMA's Psychiatrist President Hails Involvement of APA" and "AMA Releases Insurer Report Card, Award Innovative Schools." A new federal report reveals that “bath salts,” a group of drugs containing amphetamine-type stimulants, were linked to nearly 23,000 visits to hospital emergency departments in 2011. 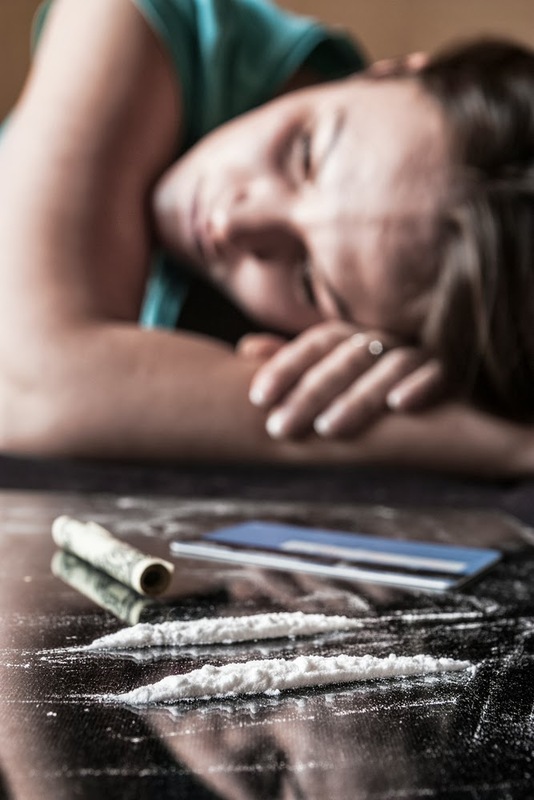 The report by the Substance Abuse and Mental Health Services Administration (SAMHSA) is the first national study to track bath salts drugs to emergency department visits since these drugs emerged a few years ago. The SAMHSA report shows that about 67 percent of emergency department visits involving bath salts also involved use of another drug. 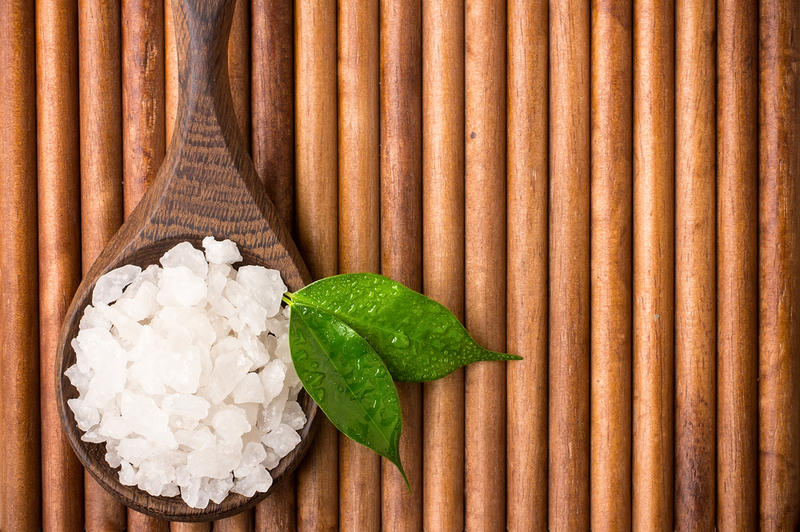 Only 33 percent of the bath salts-related emergency department visits involved just the use of bath salts; 15 percent involved combined use with marijuana or synthetic forms of marijuana, and 52 percent involved use of other drugs. For more information about the spreading epidemic of bath salts use, see the Psychiatric News articles "Psychiatrist Goes to Battle Against Bath-Salts Abuse" and "Spread of Synthetic Drugs Challenges Clinicians, Law Enforcement." The shooting of 12 workers at the Washington Navy Yard Monday morning, September 16, set in motion a rapid response from APA to assist area mental health professionals as they helped those affected by the tragedy. After offering its sympathies, APA sent a toolkit with information on coping with traumatic events to the Washington Psychiatric Society (WPS). The toolkit contained specific advice on communicating with the public and the media about trauma and about how to talk to children about the event. “We know our colleagues may be called upon to deal with the mental health consequences that may arise from this traumatic event, and we are confident they will meet this challenge,” said APA President Jeffery Lieberman, M.D., in an accompanying letter. “We are interested in being helpful, not only to those directly involved, but to the wider community as well,” said Avram Mack, M.D., WPS immediate past president, in response. The Navy quickly set up an emergency family assistance center at Joint Base Anacostia-Bolling in Washington, D.C. In addition, children’s emergency response teams and school-based mental health clinicians from the District of Columbia Department of Mental Health (DCDMH) responded today to requests for help from schools in the area. “We are working with the D.C. Office of Victims Services and other District government agencies, the FBI, and the American Red Cross on longer-term services for families,” said DCDMH Director Steve Baron, L.C.S.W. APA’s Disaster Psychiatry web page contains links to important information on coping with the mental health aftermath of disasters and tragedies. 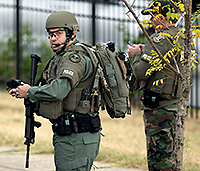 The Center for the Study of Traumatic Stress at the Uniformed Services University of the Health Sciences in Bethesda, Md., also sent out relevant information sheets, including one on workplace violence. President Obama’s BRAIN Initiative, announced in April, should develop new research tools and increased collaborations with non-neuroscientists as it focuses on complex circuits and activity in the brain, said an advisory group's interim report presented yesterday at the National Institutes of Health. The program should begin by generating a census of cell types and create structural maps of the brain, said committee co-chairs Cornelia Bargmann, Ph.D., a professor at Rockefeller University in New York, and William Newsome, Ph.D., a professor at Stanford University, in a teleconference. “We’re seeking an understanding of the dynamics of the brain: where signals come from and how they are related to internal states,” said Newsome. The advisory committee will present its final report in June 2014. For more in Psychiatric News about the BRAIN Initiative, see "Obama Calls for Major Initiative to Advance Brain Research." A cognitive-behavioral prevention program, when compared with usual care, showed significant sustained effects in preventing depression in teens at high risk for depressive illness, said William Beardslee, M.D., a professor of child psychiatry at Harvard Medical School, and colleagues in JAMA Psychiatry. "We were quite pleased that the effects noted in our earlier analysis nine months after enrollment were sustained at 33 months, as it is difficult to demonstrate longer-term prevention effects," Beardslee told Psychiatric News. At the nine-month follow-up, 21 percent of the teens randomized to the CBP condition had experienced depression, in contrast to 33 percent in the usual-care group. During the past decade or so, there has been an explosion in mental illness prevention research such as that conducted by Beardslee and his colleagues. See the Psychiatric News article "Future Looks Promising for Mental Illness Prevention" to read more about the research. Also see "Maintenance Cognitive-Behavioral Therapy and Manualized Psychoeducation in the Treatment of Recurrent Depression..." in the American Journal of Psychiatry. In a large prospective study, researchers found that elevated blood levels of a major factor in the body's immune system—C-reactive protein—were associated with a six- to 11-fold increased risk of developing late-onset schizophrenia. The senior researcher was Boerge Nordestgaard of Denmark's Copenhagen University Hospital. The results are published in Schizophrenia Bulletin. "The association of C-reactive protein with late-onset schizophrenia is very robust, even after health-related confounds are addressed," William Carpenter, M.D., a professor of psychiatry at the University of Maryland and a schizophrenia expert, told Psychiatric News. However, "The immediate challenge with this report is the causal direction," he pointed out. "Is elevated C-reactive protein causing a porous blood brain barrier, permitting entry for pro-inflammatory cytokines, for example, or are variables associated with schizophrenia, such as therapeutic or abuse drugs, causing the C-reactive protein elevation?" But assuming that C-reactive protein is actually contributing to schizophrenia risk, he indicated, then it helps support the "inflammatory pathophysiology hypothesis in schizophrenia"—a hypothesis that "is opening new opportunities for etiology and therapeutic discovery." For example, during the past five years, scientists at the Maryland Psychiatric Research Center, as well as those in England, Israel, and Japan, have reported that the antibiotic minocycline countered not just schizophrenia's positive symptoms, but negative ones as well in some patients. To read more about this subject, see the Psychiatric News article "Will Antibiotic Fulfill Its Psychosis-Fighting Promise?" It has been 20 years since the National Research Council (NRC) issued a report on child neglect and abuse. Yesterday, the Institute of Medicine and National Research Council released a report, New Directions in Child Abuse and Neglect Research, to provide updated statistical information and recommendations concerning this public-health challenge that affects approximately 6 million children a year. The NRC found that while rates of child neglect have remained steady and physical and sexual abuse have declined since its 1993 report—emotional and psychological abuse, which can lead to depression and attention difficulties, have risen. 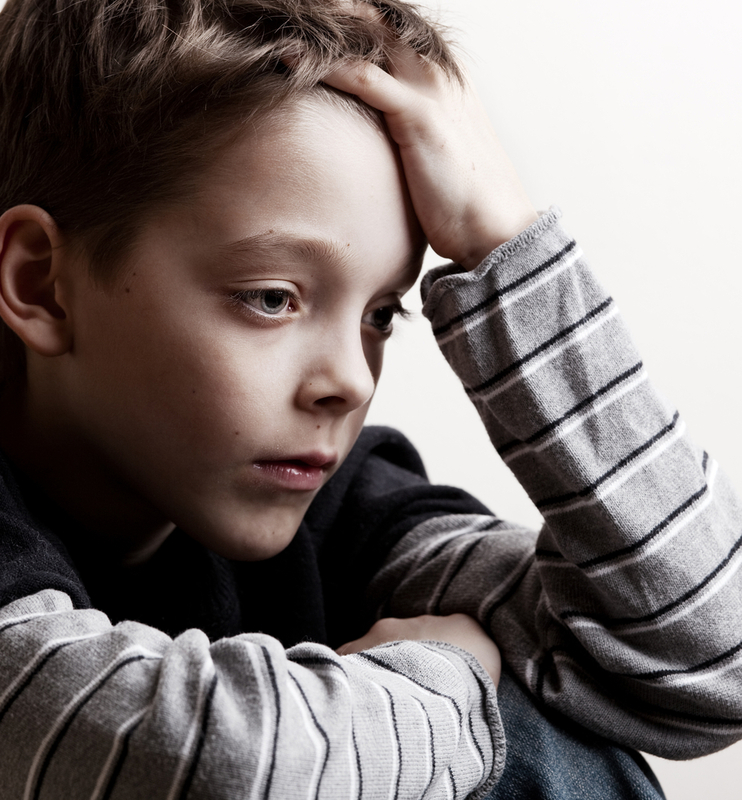 The leading factors linked to increased risk for child abuse and neglect were parental depression, substance abuse, and a history of abuse and neglect as a child. Home mortgage foreclosure also increased likelihood for child abuse and neglect, but not parental unemployment. Though research has made major advances in illuminating developmental and biological processes associated with abuse and neglect—such as alternations in prefrontal cortex physiology—the Committee on Child Maltreatment Research, Policy, and Practice for the Next Decade, Phase II, which was organized by the NRC and the Institute of Medicine to study the issue, emphasized that "federal support [of programs to reduce the incidence of child abuse] needs to be established and implemented immediately." The committee recommended the implementation for more collaborations between federal agencies, private foundations, and academic institutions to pinpoint at risk populations, and further expand research that assesses the long term mental and physical affects child abuse and neglect. 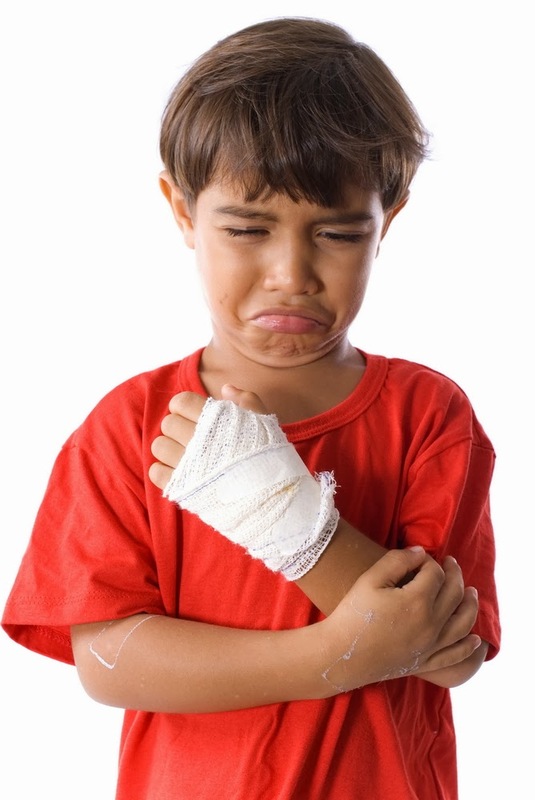 To read more about research studies on the long-term effects of child abuse and neglect, see the Psychiatric News article "Childhood Abuse Can Weaken Adults’ Immune Response to Skin Cancer." As Pfizer Pharmaceuticals pays out millions of dollars in claims related to depression and suicide associated with the antismoking drug Chantix, the study "Varenicline, Smoking Cessation, and Neuropsychiatric Adverse Events" reported today in AJP in Advance, finds that the drug may be less harmful than other smoking-cessation therapies. Researchers from the Department of Psychiatry at the University of Chicago and at Columbia University analyzed data from previous placebo-controlled and drug-comparison trials to assess the efficacy and safety of varenicline—the key in ingredient in Chantix—in more than 40,000 users with and without psychiatric disorders. The data showed that varenicline was highly associated with inducing nausea among patients, but not suicide events, depression, or aggression. Current or past psychiatric illness increased the risk of neuropsychiatric events equally among the varenicline and placebo groups. 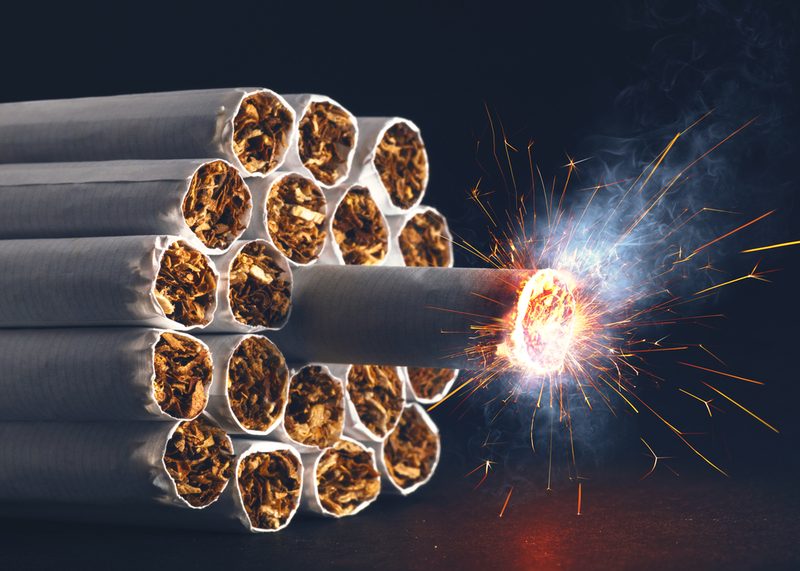 In the drug-comparison studies, the rate of neuropsychiatric events in the varenicline cohort was significantly less than in those receiving nicotine-replacement therapy. 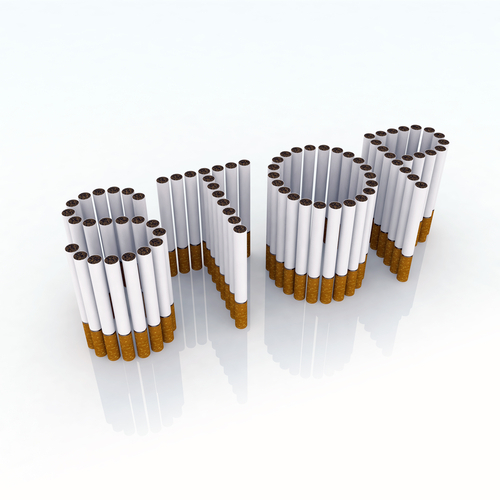 Overall, varenicline was more successful in achieving smoking abstinence than placebo or nicotine-replacement therapy. The study was funded by the National Institute of Mental Health. Pfizer provided no financial support. For information on research into varenicline, see the Psychiatric News article "Varenicline Shows Promise as Alcohol Abuse Treatment." For a report on nicotine-vaccine research, see the article "Nicotine Vaccine's Effect on Brain Evaluated." I am pleased to share highlights of APA’s 2013 Institute on Psychiatric Services with you as we get ready to meet in Philadelphia from October 10 to 13. The conference theme is “Transforming Psychiatric Practice, Reforming Health Care Delivery,” and I am very excited about this year’s meeting for many reasons. As APA president, I had the privilege of selecting the theme and have worked closely with the Scientific Program Committee in planning a learning experience that is innovative, diverse, comprehensive, and professionally fulfilling. In this column I want to share my thoughts on how this year’s theme is particularly relevant given the changes we are experiencing in the profession and some of the exciting program events that I hope will support APA’s goal of being in the forefront of changes in the profession under health care reform. I am also very excited to announce two special events planned for this year’s attendees. Thanks to the support of the American Psychiatric Foundation, former Rep. Patrick Kennedy, a strong advocate for improved access to mental health services as part of health care reform, will join me for a session in the “Conversations” format, where we will discuss changes in psychiatric practice, stigma, and the need for increased advocacy to improve access to psychiatric treatment. I am also chairing a special symposium on the role of psychiatrists in the transformed health care system with esteemed colleagues Ellen Katz, Ann Sullivan, and Grant Mitchell. Research has indicated that the presence of antibodies to influenza, toxoplasmosis, and other infectious agents in the blood of pregnant women is associated with increased risk of mental illness among their offspring. Now a new study in nonhuman primates finds that activating the maternal immune system leads to abnormal behavioral development in offspring. Researchers treated pregnant rhesus monkeys with synthetic double-stranded RNA in the first or second trimesters and then studied their offspring for two years. Beginning at age 6 months, the young monkeys “exhibited abnormal responses to separation from their mothers,” compared with controls, said Melissa Bauman, Ph.D., of the M.I.N.D. Institute and the Department of Psychiatry and Behavioral Sciences at the University of California, Davis, online September 5 in Biological Psychiatry. They displayed abnormal repetitive behaviors, decreased affiliative vocalizations, and species-inappropriate proximity to unfamiliar monkeys. “These results extended the findings in rodent MIA models to more human-like behaviors resembling those in both autism and schizophrenia,” concluded Bauman and colleagues. 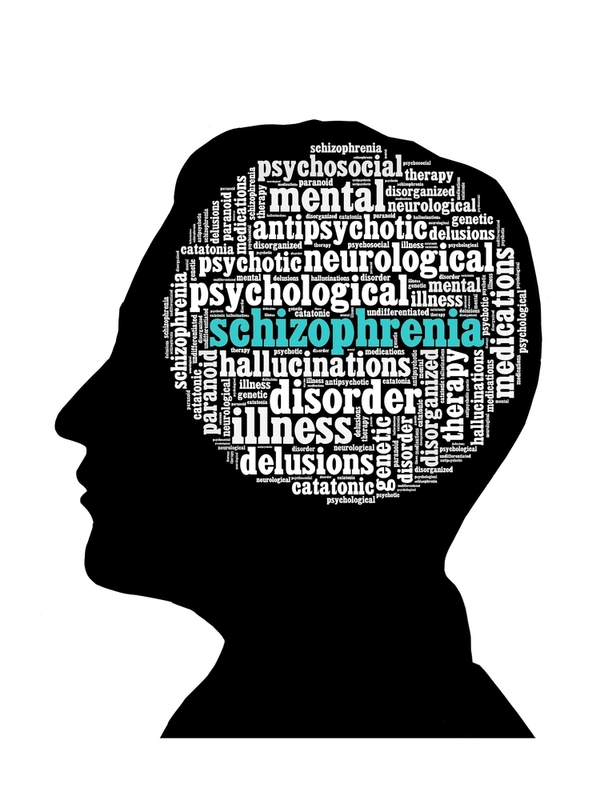 To read more about research on links between infection and mental illness, see the article, "Psychiatrist Hunts for Evidence of Infection Theory of Schizophrenia" in Psychiatric News. APA’s Practice Management HelpLine provides practical assistance to APA members on a wide variety of day-to-day issues that arise in managing a practice. 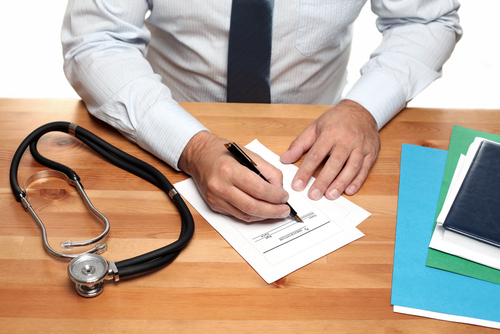 These include CPT coding changes, reimbursement problems, relationships with managed care companies, documentation of services provided, Medicare, Medicaid, establishing a private practice, and closing a practice, among others. To see recent questions received by HelpLine staff and how they answered them, see Psychiatric News. 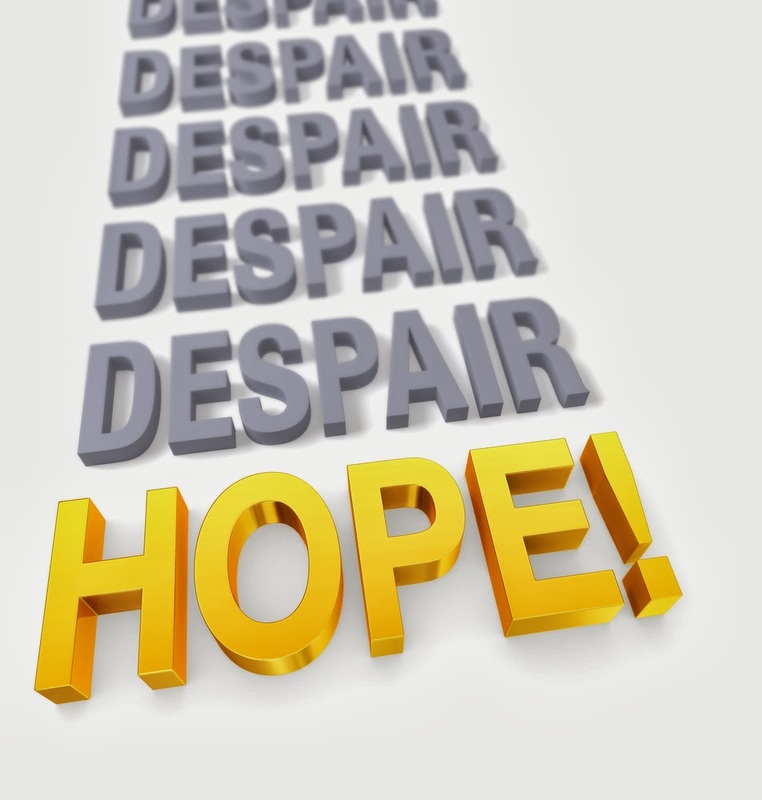 APA members can submit their questions to the HelpLine by phone at (800) 343-4671 and e-mail at hsf@psych.org. Questions will be answered in future issues of Psychiatric News. A short, highly manualized intervention for mothers of preterm infants significantly reduced symptoms of trauma and depression associated with preterm birth, according to a report published online September 2 in Pediatrics. Researchers at Stanford University and New York University medical schools randomized 105 mothers of preterm infants (25–34 weeks’ gestational age with a birth weight of less than 600 g) to receive a six-session intervention developed to target parental trauma or to a comparison group. Mothers in the intervention group received a combination of trauma-focused treatments, including psychoeducation, cognitive restructuring, progressive muscle relaxation, and development of a “trauma narrative.” The intervention also incorporated material targeting “infant redefinition”—the process of changing a mother’s negative perceptions of her infant and the parenting experience. Mothers in the intervention group reported greater reduction in both trauma symptoms and depression than mothers in the comparison group. 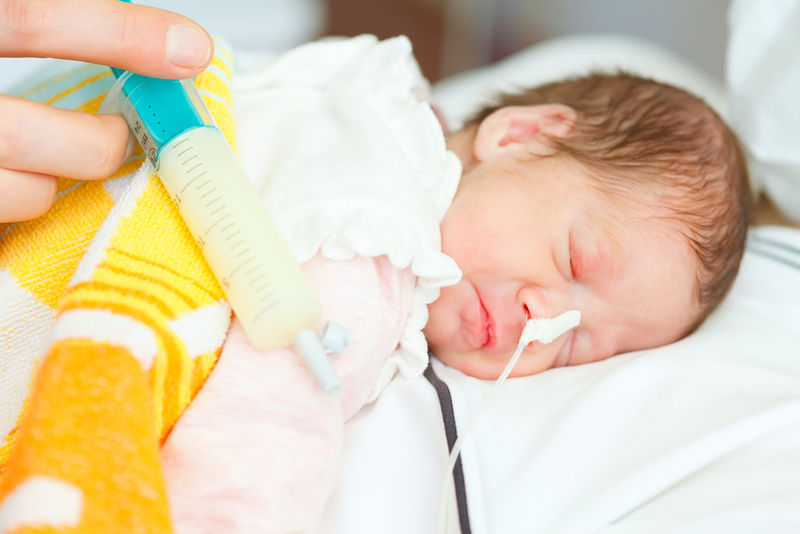 And mothers with higher ratings of baseline stress in the neonatal intensive care unit benefited more from the intervention than did mothers who had lower ratings. To read more about this topic, see the Psychiatric News articles "Screening of Postpartum Women Shows High Rates of Depression" and "Data Clarify Link Between Antidepressant Use, Preterm Birth." Also see the report "Effects on Children of Treating Their Mothers' Depression: Results of a 12-Month Follow-Up" in Psychiatric Services. Today, the Food and Drug Administration (FDA) mandated safety labeling changes and new postmarket study requirements for all extended-release and long-acting (ER/LA) opioid painkillers. The ruling was prompted by the high incidence of overdose-related deaths and misuse of opioid drugs, which was reportedly used by 2.4 million Americans in 2010, according to government data. The new class wide-labeling changes for ER/LA opioids will include detailed information to assist clinicians with tailoring medication to patients' individual needs, as well as a boxed warning to caution about drug use during pregnancy, which can result in neonatal opioid withdrawal syndrome. The FDA noted that the medications are intended for patients who exhibit “around-the-clock” pain and have exhausted all other options—such as non-opioid medication and immediate-release opioids—to alleviate pain. In addition, the FDA is requiring all ER/LA opioid manufacturers to conduct clinical trials that will assess the serious risks for misuse, abuse, increased sensitivity to pain, addiction, overdose, and death of these medications. For more information about FDA regulation regarding opioid analgesics, see the articles "Caution Urged for Clinicians Who Prescribe Opioids" and "FDA Opioid Abuse Proposal Said to Be Too Weak" in Psychiatric News. A study in Biological Psychiatry provides new evidence that some individuals with high-functioning autism have enhanced cognitive ability in mathematics. "The findings should remind clinicians, parents, and educators that the brains of individuals with autism could potentially be 'gifted' with superior abilities, math being one of them," the lead researcher told Psychiatric News. She is Teresa Luculano, Ph.D., a postdoctoral fellow in psychiatry and behavioral sciences at Stanford University. Luculano and her colleagues also found that while autism subjects were solving math problems, their brains showed different patterns of activation than did the brains of controls while doing so. They were especially intrigued by their finding that the ventral-temporal-occipital cortex predicted math abilities in autism subjects, she said, since this area is "normally devoted to face processing, which other labs have shown to be hypo-activated in children with autism when processing faces and generally social stimuli." Individuals with autism may also be gifted with an exceptionally sharp visual perception of moving objects. See the Psychiatric News article "Visual Perception Appears Heightened in autism." In an op-ed essay that appeared in the May 28 New York Times, David Brooks claimed that psychiatry is not really a science, but a semi-science. This claim prompted Eric Kandel, M.D., to respond in his own op-ed essay, which appeared in the September 6 New York Times. In addition to being a professor at Columbia University, Kandel was a recipient of the 2000 Nobel Prize in Physiology or Medicine. "The reason that Mr. Brooks is understandably conflicted about seeing psychiatry as a medical discipline is that we do not understand the biological substratum of most psychiatric disorders, and certainly we are nowhere near understanding them as well as we understand disorders of the liver or the heart," Kandel told Psychiatric News. "But the fact is that we are beginning to make some progress, and although it is slow, it is accelerating. I wrote the New York Times response to give the reader a few examples of that." For example, "We are beginning to discern the outlines of a complex neural circuit that becomes disordered in depressive illnesses," he wrote. "Helen Mayberg, at Emory University, and other scientists used brain-scanning techniques to identify several components of this circuit, two of which are particularly important." They are the subcallosal cingulate region, "which mediates our unconscious and motor responses to emotional stress," and the right anterior insula, "a region where self-awareness and interpersonal experience come together." Moreover, he wrote, "ANY discussion of the biological basis of psychiatric disorders must include genetics. Most mutations produce small differences in our genes, but scientists have recently discovered that some mutations give rise to structural differences in our chromosomes. Such differences are known as copy number variations....Matthew State, at the University of California, San Francisco, has discovered a remarkable copy number variation involving chromosome 7. An extra copy of a particular segment of this chromosome greatly increases the risk of autism, which is characterized by social isolation. Yet the loss of that same segment results in Williams syndrome, a disorder characterized by intense sociability." 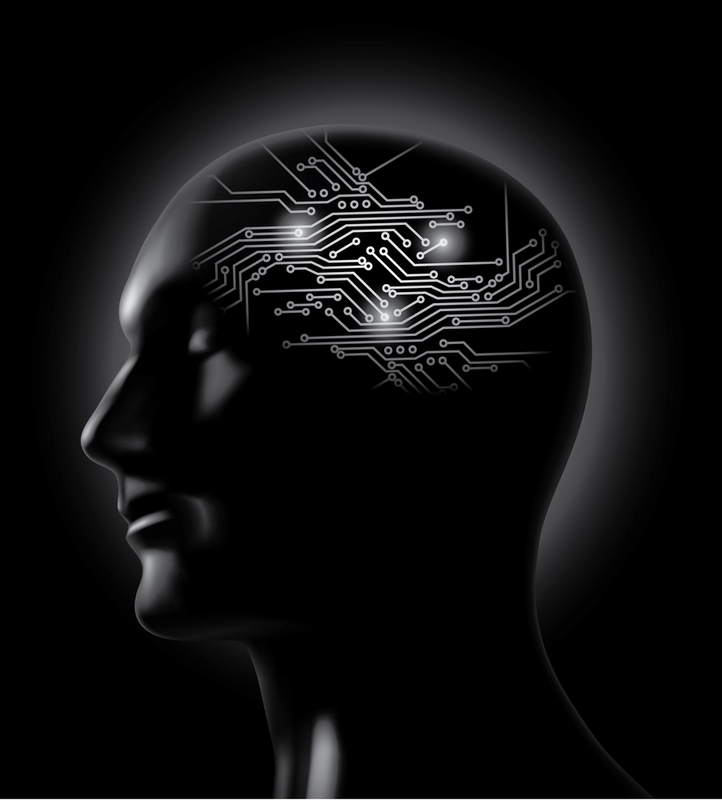 Click here for Kandel's New York Times essay, "The New Science of Mind." As next month marks open enrollment for the Affordable Care Act and the 50th anniversary of President Kennedy’s signing of the Community Mental Health Act, former Congressman and APA spokesperson Patrick Kennedy is taking steps to ensure that the plea for adequate health care for those with mental illness is being heard by the masses. On September 4 and 5, Kennedy led a national media tour from Boston to Los Angeles in honor of National Suicide Prevention Month. The tour consisted of 24 interviews across television, radio, and digital media outlets and showcased APA’s leadership role in fighting the stigma that prevents many Americans from receiving effective care for suicide prevention, psychiatric conditions, and substance abuse disorders. “Health care reform is a big win for us, because it eliminates the preexisting condition clause...but we are looking for a rule that will define mental health…If you provide coverage of asthma, diabetes, cardiovascular disease…you must treat a mental illness in the same respect,” he said during an interview on MSNBC’s "Andrea Mitchell Reports." Kennedy emphasized that preventative care is highly important in treating mental illness. “The job of reducing suicide is to treat the underlying mental health issue, and hopefully that is what parity will begin to do,” he concluded. For more information on Kennedy's commitment to mental health issues, see the Psychiatric News article "APA Holds Press Conference on Key Mental Health Issues." Also, see Kennedy's interview on MSNBC's "Andrea Mitchell Reports." A study in last month's Journal of Pediatrics evaluated approximately 3,000 5-year old children to examine the relationship between soda consumption and aggressive and withdrawal behaviors and attention problems. Soft drink consumptions and behaviors of children were monitored over two months and reported to researchers by the participants’ mothers. The results showed that aggression, withdrawal, and attention problems were associated with at least one serving of soft drink per day. The association remained significant after adjusting for sociodemographic factors, maternal depression, and parental incarceration. In addition, children who drank four or more soft drinks per day were more than twice as likely to destroy things belonging to others, participate in fights, and physically attack people. “We found that the child's aggressive behavior score increased with every increase in soft drinks servings per day," said Shakira Suglia, Sc.D., lead author and professor at the Columbia University Mailman School of Public Health. 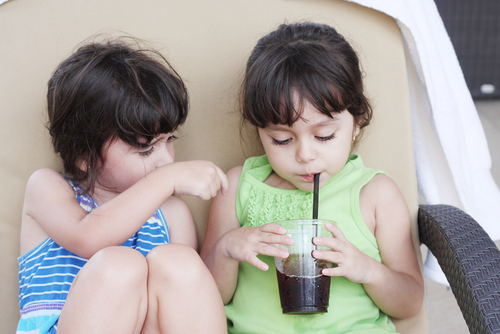 Although the study cannot identify the exact mechanism of the association between soft drink consumption and problem behaviors, limiting or eliminating a a child's consumption of soft drinks may reduce behavioral problems. For more information on the association of soda consumption and behavioral problems, see the Psychiatric News article "Are Soda-Swilling Teens More Apt to Be Violent?" Oxytocin, a hormone known to influence a variety of emotional responses including attachment and social engagement, may help patients with borderline personality disorder (BPD) feel less threatened socially and reduce anger and aggressive behavior associated with the disorder. That’s the finding from a study appearing online in AJP in Advance (August 28, 2013) by researchers at the University of Heidelberg, Heidelberg, Germany. BPD is characterized by emotional hyperarousal, proneness to anger, and hostile and sometimes impulsive behaviors. Moreover, patients with BPD often have great difficulty with social interaction in part because they interpret facial and other social cues as threatening. In a randomized, placebo-controlled, double-blind group design, 40 adult women patients with a current DSM-IV diagnosis of borderline personality disorder and 41 healthy women took part in an emotion-classification task in which they were shown pictures of various kinds of facial cues. Forty-five minutes after the task, the subjects in the study received either intranasal administration of oxytocin or placebo. The patients with BPD initially responded more fearfully to images of the eyes of angry faces, with increased activation of the amygdala compared with the healthy control group. However, the abnormal behavioral and neural patterns were normalized after oxytocin administration, according to the study. “By combining eye tracking with high-resolution fMRI, we found a reduction of posterior amygdala hyperactivation, which was related to a reduced attentional bias toward socially threatening cues after oxytocin administration in borderline patients,” the researchers stated. For the full report, see "Oxytocin and Reduction of Social Threat Hypersensitivity in Women With Borderline Personality Disorder." For more information about oxytocin, see the Psychiatric News article "Social Cognition May Improve in Schizophrenia With Oxytocin." More than half of individuals who are prescribed psychotropic medications do not have a documented psychiatric disorder, according to a study published in the September Psychiatric Services. Researchers analyzed over five million MarketScan claims from 2009 and found that 58% of individuals who were prescribed a psychotropic medication did not have any psychiatric diagnosis. Patients were categorized into three age brackets: 18-39 years, 40-49 years, and 50-64 years. The results showed that patients in the oldest age bracket (25%) were more likely to be prescribed psychotropic medications than patients in the youngest age bracket (16%). An overwhelming majority of psychotropic prescriptions prescribed without a psychiatric diagnosis was to patients who did not use any mental health specialty care services, leading researchers to believe that most of these medications were being prescribed in primary care, general medical, and surgical settings. For the full report, see "Prescribing of Psychotropic Medications to Patients Without a Psychiatric Diagnosis."